Read how one of the world's best runners, Kilian Jornet uses Mountain Fuel. After suffering for years with nausea and an upset stomach on long runs, he's now found a nutrition strategy that works for him. 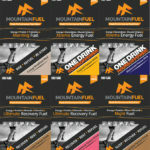 Running Nutrition | Cycling Nutrition | Triathlon Nutrition and more… From roads, trails or mountains, two feet to two wheels and whatever your ability, Mountain Fuel is a balanced sports nutrition system designed to provide the body with the nutrition and energy to cope with any type of physical activity. 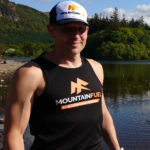 The Mountain Fuel system provides sustained energy and recovery whilst also providing the vitamins, amino acids and minerals your body needs to perform at its best, taking the guesswork out of your fuelling needs. Sign up for exclusive Mountain Fuel updates! The five-product multi flavour system has been designed to be used in conjunction with each other, however you can use any of the products individually depending on your exercise regime, intensity and duration. 1. Night Fuel can be enjoyed the night before your event/activity; it has been specifically formulated with essential ingredientsrequired by the body for it to replenish while it rests. Simply mix with hot milk or water to give a tasty Chocolate flavoured drink. Slowly sip during the evening to allow your body the optimum time to benefit; just because you’re asleep doesn’t mean you can’t prepare your body for the next day’s session! 2. Morning Fuel (available in Gluten Free) can be utilised at any time of the day – despite its name! By mixing with a little water or milk (hot or cold), use as your pre-event meal or shake. It has been designed to be nutritionally balanced, is light on the stomach, is quickly absorbed and tastes great. Depending on your event/activity you could add seeds, fresh/dried fruit or a small handful of oats. Morning Fuel can also be used to create tasty, power packed snacks to eat on the go while running or cycling. 3. Xtreme Energy Fuel is not just your everyday sports drink as we ensure that we include all the ingredients required to deliver asustained energy release throughout your event/activity. It is easy on the stomach, providing the perfect balance of carbohydrate, protein, electrolytes and vitamins that enable you to delay the onset of fatigue. It will also fully hydrate the body and help reduce cramps. Mix with 500 – 750ml of water and use before and during your event/activity and during training. Xtreme Energy Fuel will fuel you for 1 to 2 hours depending on intensity and is available in either Raw, Blackcurrant or Tropical flavour. 4. 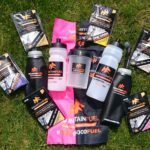 Ultimate Recovery Fuel does what it says on the packet. It is balanced with the correct amounts of carbohydrates, proteins, minerals and vitamins that allow your muscles to recover and repair themselves immediately following exercise. Ultimate Recovery Fuel can also be utilised mid-race by endurance athletes/triathletes to help replenish their muscles and offset muscle soreness. Prepared with milk or water, Ultimate Recovery Fuel comes in either Strawberry or Chocolate flavour. 5. Sports Jelly Here at Mountain Fuel we could have easily produced like for like sports gels, however, we believe that our new product is a great replacement for energy gels, especially when training and competing in endurance events. The Mountain Fuel Sport Jelly with electrolytes is a hybrid of jelly and a drink, and the perfect option for those who like the idea of having a convenient but effective ‘food’option whilst still staying hydrated. Lightly flavoured these jellies are refreshing and come in three flavours Lemon & Lime, Orange and Cola with Caffeine. To purchase individual sachets, multi-serving pouches, taster packs, bottles, soft flask and apparel visit the Mountain Fuel shop. Whether you're after the finest fuel to power your activities or go faster apparel - visit our Shop to see the full range of products.